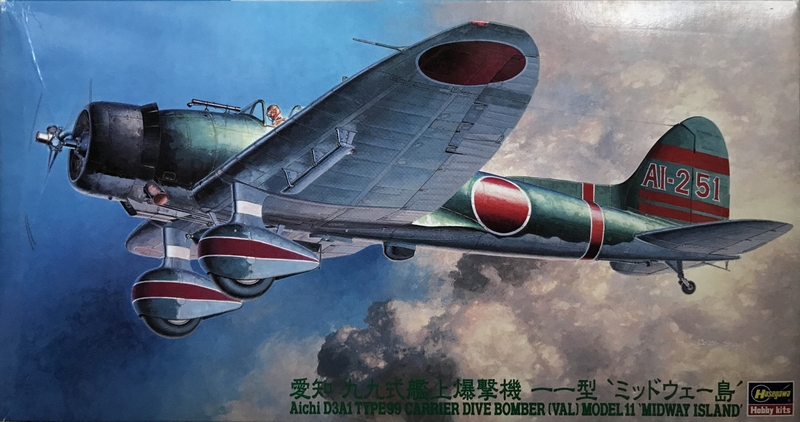 The Aichi D3A nick named Val by the allies was the mainstay Japanese dive bomber during WWII. 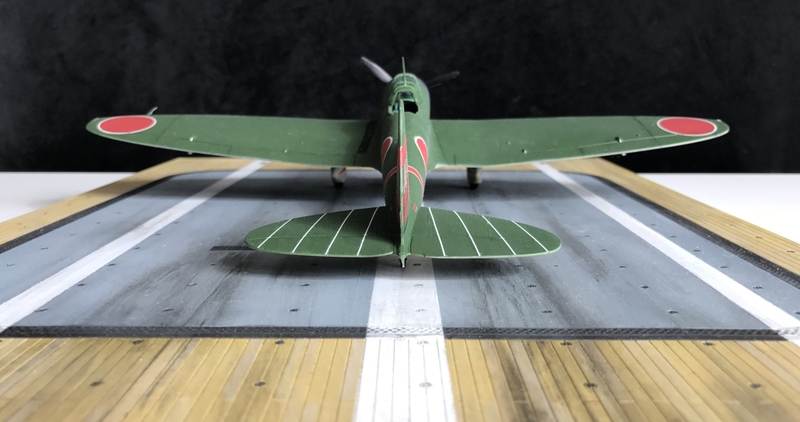 The Val started it's service in 1940 and participated in all major conflicts in the first half of the war, including China, Pearl Harbour, The Philippines and Midway. It sunk more ships than any other Axis aircraft. As the war progressed it was eventually out classed and it's importance decreased. 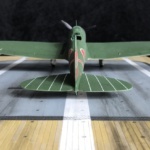 Later models were also used as fighters. Late in the war it was also pressed into service as Kamikaze vehicles. 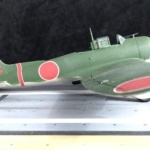 This kit from Hasegawa is a decent kit of the Val, one of the few in this scale. 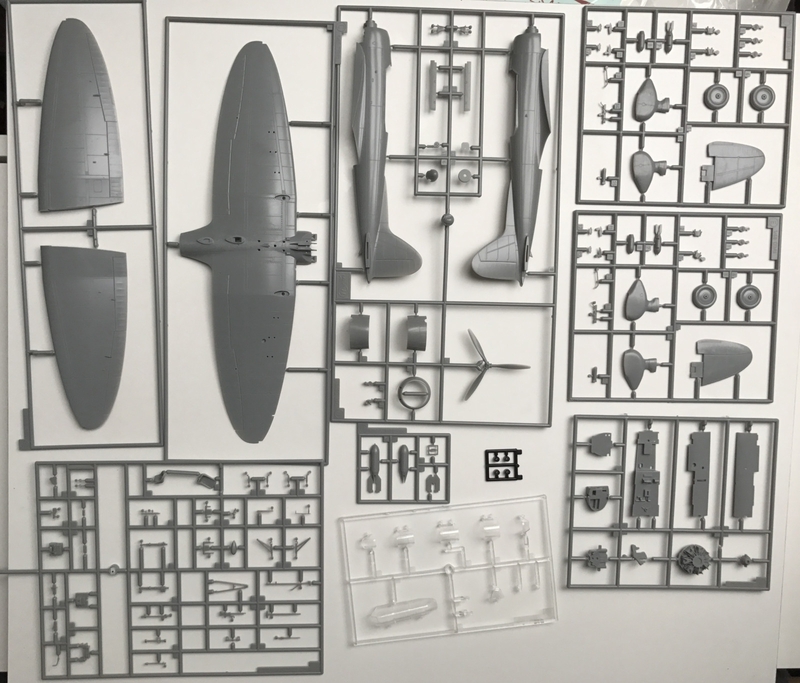 The only others I've seen is one from Fujimi and what looked like a vintage kit from Gomex Fly Models. 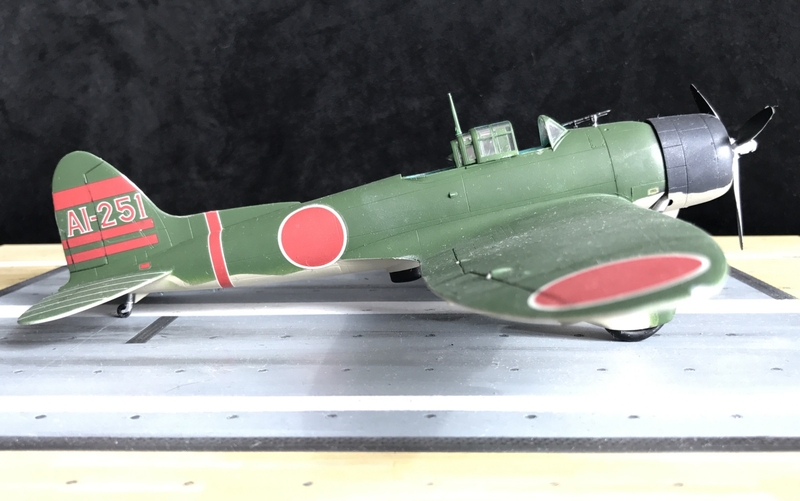 As I'm doing the planes from the Battle Of Midway I was lucky to find a Hasegawa edition 'Midway Island' that depicts either a plane from the carrier Akagi or from the Kaga. 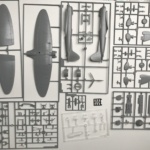 The kit is not to complex with not that many parts. In many aspects this is kind of a standard kit. No thrills but a good representation of the air plane. 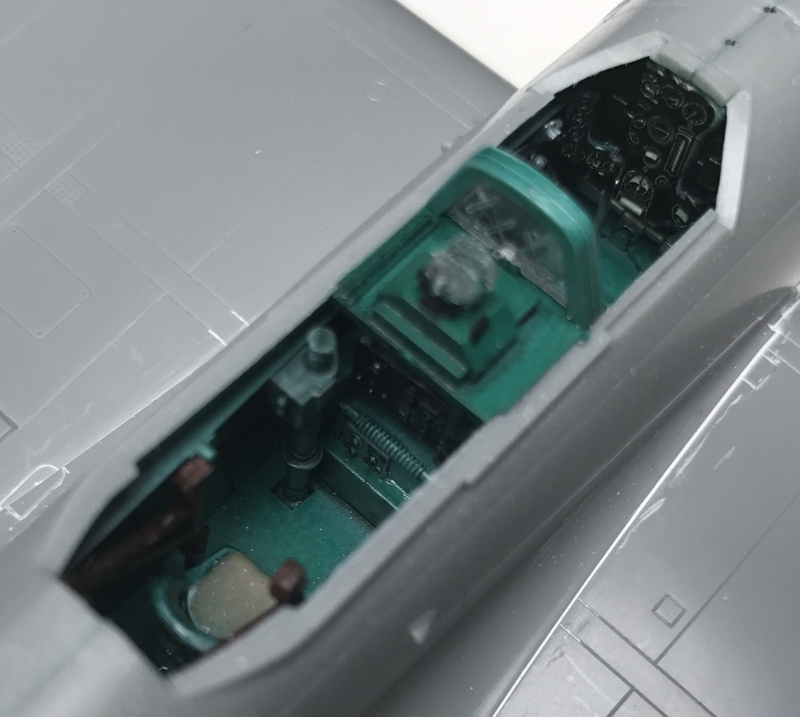 The cockpit is quite well detailed for being in this scale. With a steady hand and a fine brush you can add colours to the levers and wheels and it looks quite good. 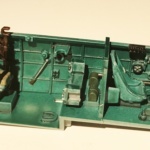 Some details are a bit crude though, specially the stand for the rear machine gun. The instructions can be sketchy at times. 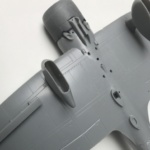 For example for the said machine gun stand and gunners seat. It's not clear exactly where to put it and also, if you're doing it retracted (as it always was on the ground) you're supposed to cut a staff but there is no indication on how short it should be. 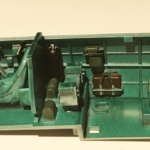 I had to reseat the structure after I've glued the fuselage as I obviously got it wrong. 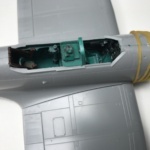 There is a decal for the instrument panel and the panel as such has raised details. You can chose to file away the details before placing the decal or you can use MicroSol to set the decal over the raised details. I did the latter. After the cockpit things happens fast. 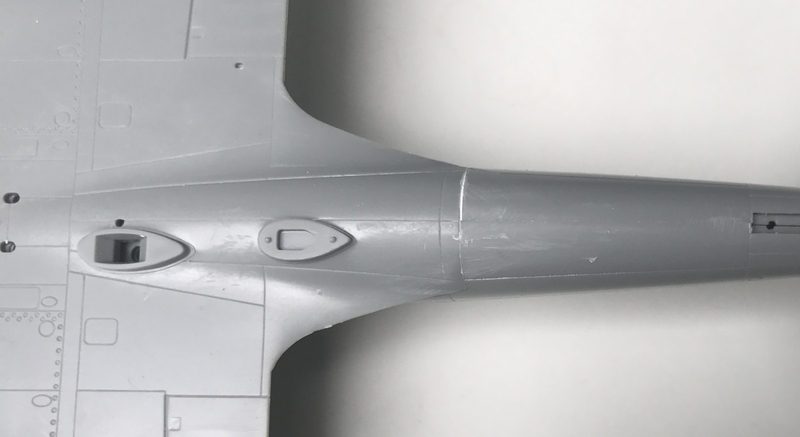 The fuselage, tail and wings are done consecutively. Mostly the parts fits nicely together and only some minimal filing and sanding is needed. 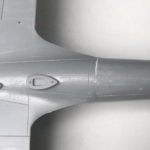 The wing mounting is constructed in the classical way and the classical problem with the wing roots and at the rear joint at the fuselage leaves some small gaps. This time it was enough with a small amount of filler almost no sanding. This is good a the wing roots can be a pain if the caps are too large. 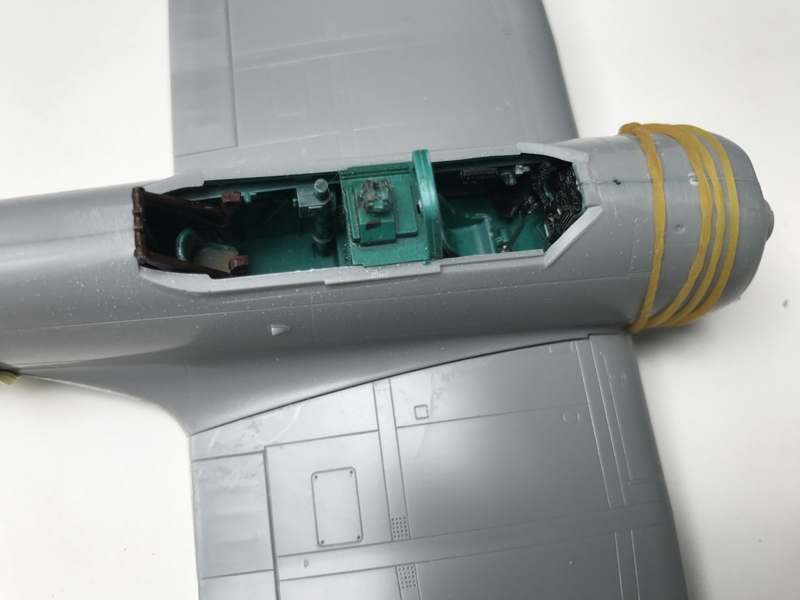 Now usually I like to paint my models before I mount the landing gears. This because the easily gets damaged while handling the kit and are also generally in the way. 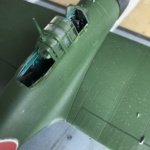 On the Val the landing gear are a fixed, like on the German Stuka, so you really want to paint these too. Now here Hasegawa seems to have understood the dilemma as you want to avoid to pant the wheels after mounting. 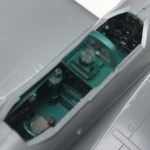 They have made the pins inside the landing gear, where the wheels fit, minimal so you can easily fit the wheels in after you have glued the two halves of the landing gear together. This makes it a lot easier. 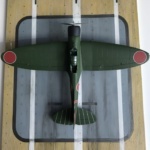 Both of these are included in Vallejo´s Model Air set 'Imperial Japanese Navy (IJN) Colors' (ref. 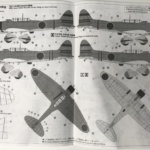 71.169) which is handy if you're doing more than one Japanese navy plane. The engine cowl is, as I've understood after some reading on the internet, black-blueish metallic. I mixed the 71.057 Black with a little 71.071 Artic Blue (Metallic) and some 71.073 Black (Metallic) and got a really good result. 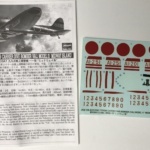 The kit has some years to it and if you get hold of it the decals might be dried up. There is later release of the D3A1 Val from Hasegawa announced with folding wings but I've not seen any yet. In my case the decals was on the edge. They had to soak for a long dime and then carefully applying pressure on as much of the decal as possible ease them lose from the paper. Luckily I succeeded to save almost everything. 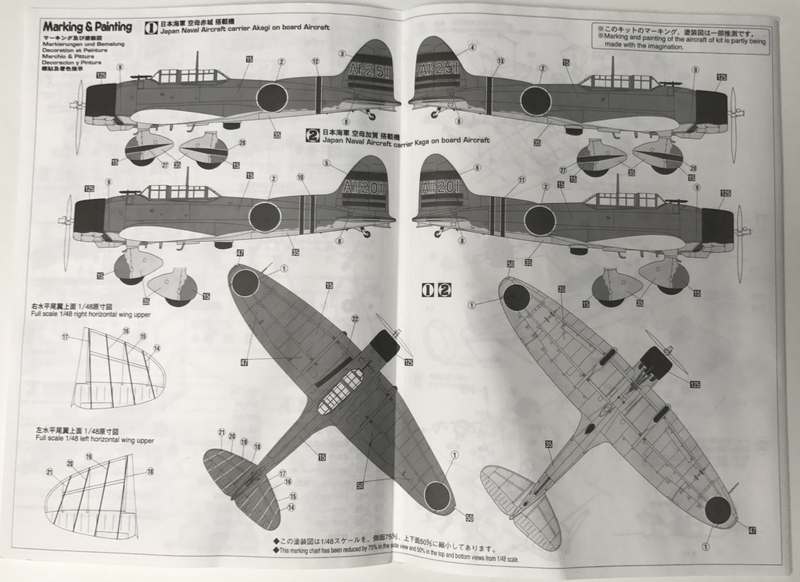 The decals for the wheel cowls (as in the version from the Akagi carrier) comes in two pieces, one for the left side an one for the right. I couldn't manage to get this to fit in the front where they meet (they didn't want to match) so I had to fix them up with some paint afterwards. 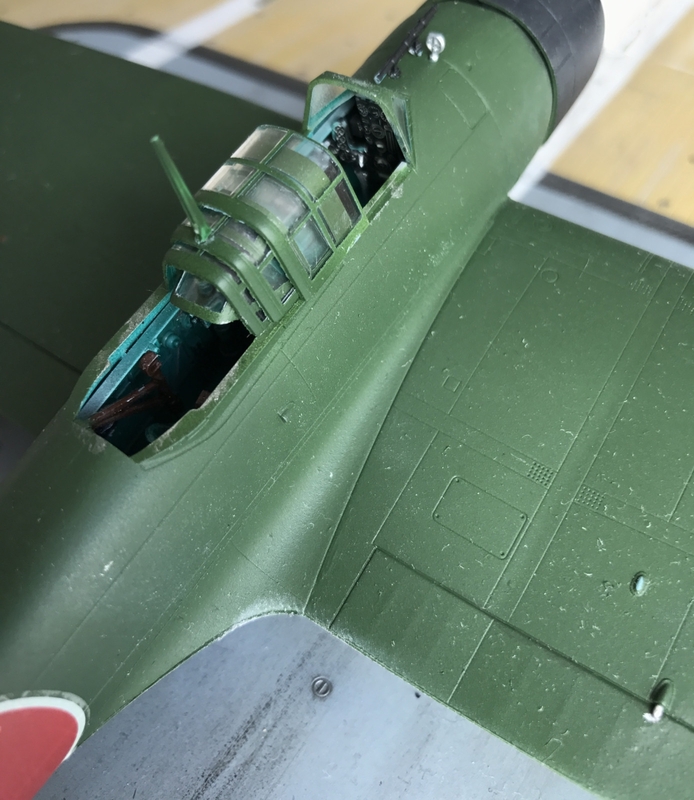 Post painting work as fitting the wheels, propeller, cockpit hood and other details was quite easy. Mounting the bombs also, even though the main bomb's attachment and release mechanism is a seven part story it fits well and there is no problem how the bomb fits (as I feared for a while). 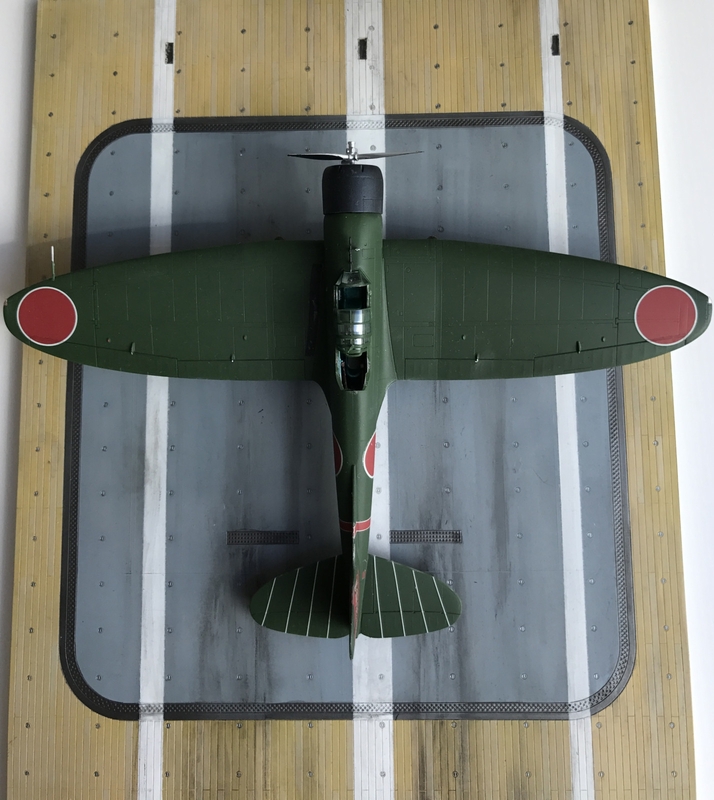 Hasegawa's Aichi D3A1 'Val' is mostly available through Ebay these days but it's a good kit even if a bit dated. The fit is good without any serious issues and the panel lines etc. are distinct but not exaggerated. There's not that many kits of the Val in scale 1:48 and with that in mind is a good one. 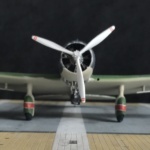 It will be exciting to see the new D3A1 that Hasegawa has announced. 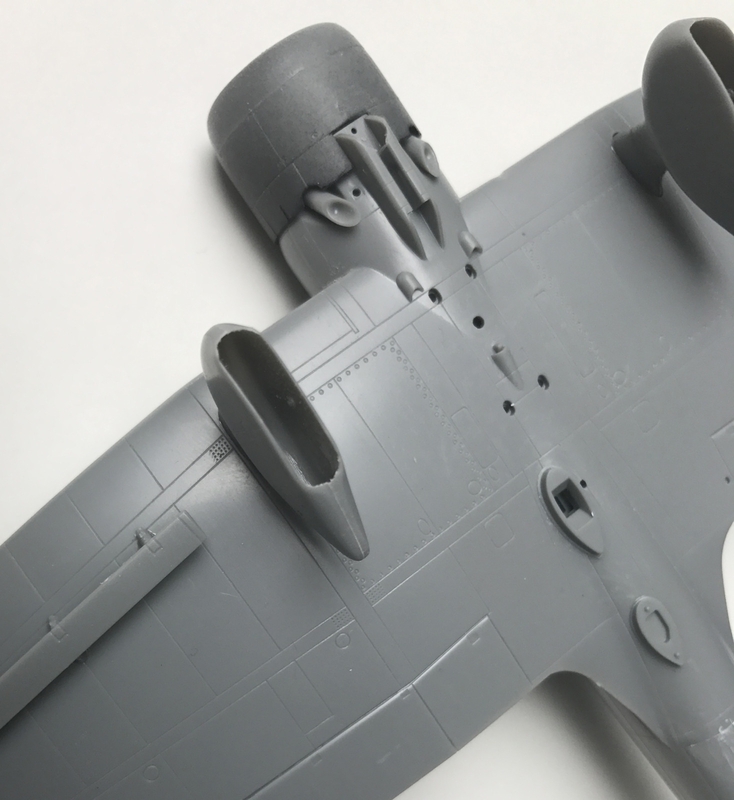 It seems to be a new mould as it will have the possibility to build with folded wings. It's an OK kit overall which is good as it's the only one in this scale at the moment. Fits well together and looks good. No separate rudders. 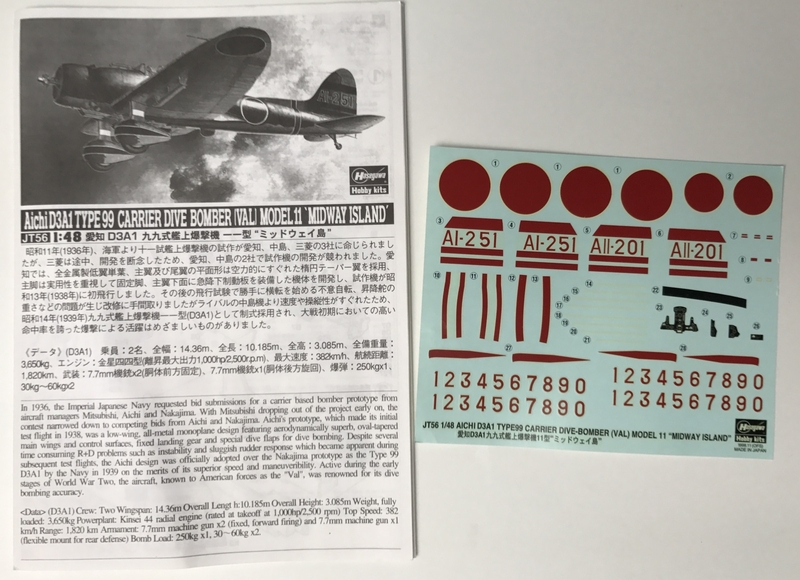 The decals for the wheel houses in the Akagi version.